The first step to becoming Tamriels greatest bowman begins when you pick your race. While this isn't the most important factor in mastery of the archery skill, selecting the perfect race can give you an early boost and ease that initial challenge that archey poses. By far the best race for an archer are the Wood Elves, or Bosmer. These agile inhabitants of Valenwood come bundled with a 10 point boost to the archery skill, and +5 to lockpicking, sneak, light armour, alchemy, and pickpocketing; all core skills for an archer which will give you a leg up as you try to fulfil your Dragonborn destiny. As a Wood elf you are also bestowed with the ability to summon nearby animals to your aid, and have 50% resistance to poison and disease. Other good choices include the Redguard and the Khajiit, both of whom have a +5 boost to archery. Redguards have a special ability called Adrenaline Rush which allows you to regenerate stamina 10 times faster for 60 seconds - great for a quick getaway. Kajiits on the other hand have night vision which could be handy for aiming in the dark. 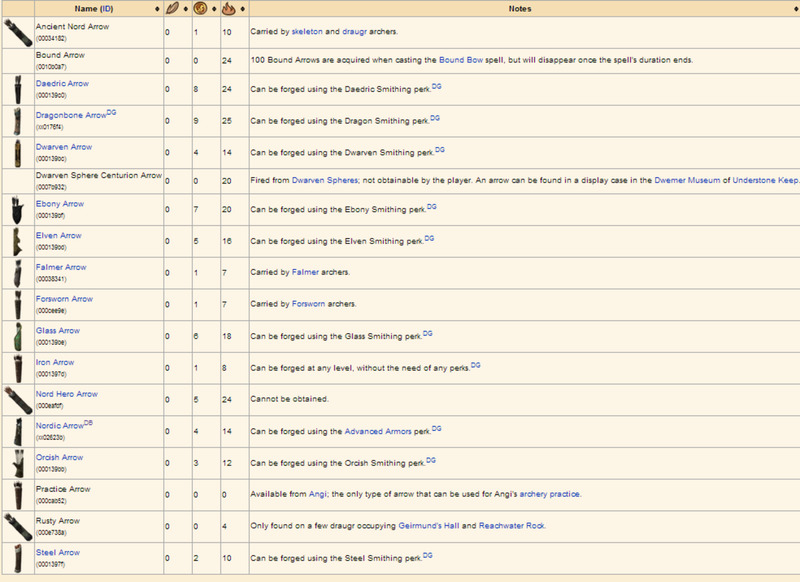 If you want more information on races and their skills and boosts, feel free to hop over the Elder Scrolls wiki page on races. Don't spend too much time over your race though, as in the end, it won't make a huge difference once you get past level 6 or so. Your primary effort should be to get this skill up as quickly as possible. You will find it improves quite quickly as you will be using it a lot (as long as you avoid the allure of one-handed and two-handed weapons!). Make sure you invest in all the perks, especially ones like Overdraw (all 5 ranks which increases the damage your bow deals) and Eagle Eye (lets you zoom in on the target when aiming) as early on as possible. One of the drawbacks of archery is that you take a lot of damage, and can't do much about it other than keeping your distance from the enemy. This is especially true in cramped spaces like dungeons and caves where there isn't much space to maneuver. The best way to way to negate the damage is to invest in the light armour skill. While Heavy armour provides more protection, it is clunky and noisy (which reduces the effectiveness of sneaking) and slows you down, and the best way to limit the damage you take is to avoid it! Thus with light armour you can get good protection without sacrificing you mobility. Look out for the Agile Defender and Custom Fit perks. Stealth is an excellent choice for an Archer. It lets you sneak up on the enemy and dipatch them without them even noticing you (if your archery and sneak skills are high enough). You also get bonus damage for shooting while in sneak mode and is especially effective on giants (its possible to kill them in one good sneak shot!). Make sure you get the the Stealth and Deadly Aim perks. Blocking with your bow staggers the enemy and works like regular blocking. The Deadly bash and Power Bash perks are especially good, and can get you out of a tight spot in a dire situation, and buy you a couple more shots while the enemy recovers. There will be times when a bow just won't cut it. In these times, it is important you have a back up weapon. One-handed weapons are quick and don't use up much stamina, so invest in an axe or sword and the perk, Armsman. The rest of the skills listed are not as important as the other ones and are more influenced by your preferred playing style, but are fun to try. Conjuration and archery are an excellent combination. It lets you conjure up a companion to help you out and deal some melee damage, and with it you could even do away with bows and arrows and conjure them instead! If you want to conjure your bows, go straight for the Mystic Binding perk, otherwise the summoner perks are a wise decision. Invisibility and true shot potions are the staple of any archer. Therefore investing in Alchemy is not only save you many septims, but is very rewarding when you finally create that killer potion! You can also craft your own poisons to use on your arrows. the Alchemist perks are especially good. While smithing is usually associated with the warrior types, it is an excellent skill to have. Archery is tough to start with and you want to make sure you can squeeze very last ounce of damage from you bow. Improving your weapons and armour at the grindstone will give you more bang for your buck, and give you that little edge over the enmey. You can get a tutorial in smithing at Alvor's forge in Riverwood. All the perks are good here. I would highly recommend enchanting as a way to get more out of your weapons and armour. i particularly enjoy the fire enchantments. The enchanter perks are great, and if you are serious about enchanting, get either a soul trap spell or enchant a weapon with it to make getting soul gems easier. Having a follower is important as an archer. Melee types like Lydia or Mjoll the Lioness are good picks and will keep the enemy at bay while you pick them off from afar with your bow. You can get a very useful follower, Faendal, very easily when you first arrive in Riverwood. To do so complete the quest: A Lovely Letter (http://elderscrolls.wikia.com/wiki/Love_Triangle). Faendal is an adept archery trainer (he will train you until rank 50), and once he is your follower, you can get free traning by paying for it, then accessing his inventory and taking you money back to try again. This is a must for aspiring archers and will really help you not only improve you archery, but also your levels. 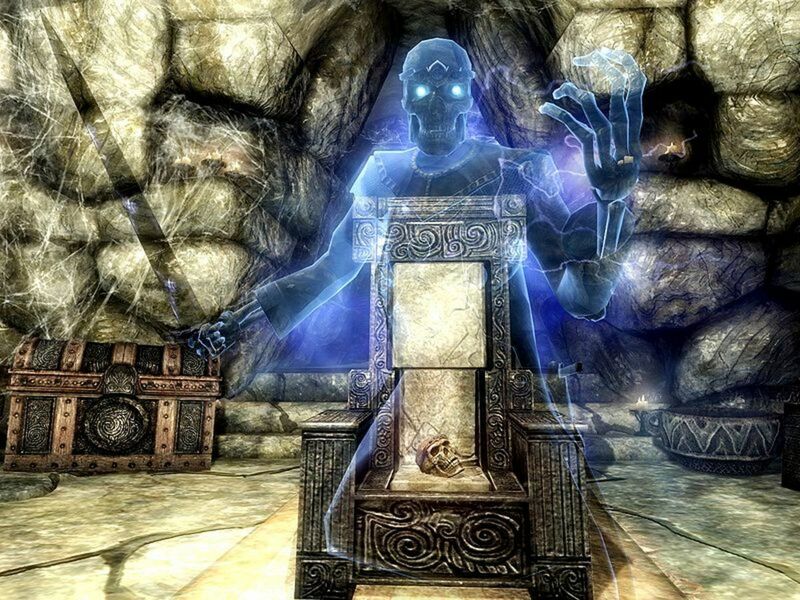 There are many standing stones scatterd around the world of Skyrim, and each of them when activated give a special power or bonus - you can only have one active at a time though. When you first escape Helgen, you are asked to pick one of the 3 guardian stones. Select the thief stone because it will help you level your archery and light armour skill quicker. Later on, there are better standing stones for you to hunt down. For an archer the best standing stones are the serpent stone (paralyze the enemy for 5 seconds and do 25 points of damage -can be used once a day), the shadow stone (invisibility for 60 seconds - can be used once a day), the Lady stone (Health and stamina regenerate 25% faster), or the steed stone (+100 carry weight and no movement penalty from armour). 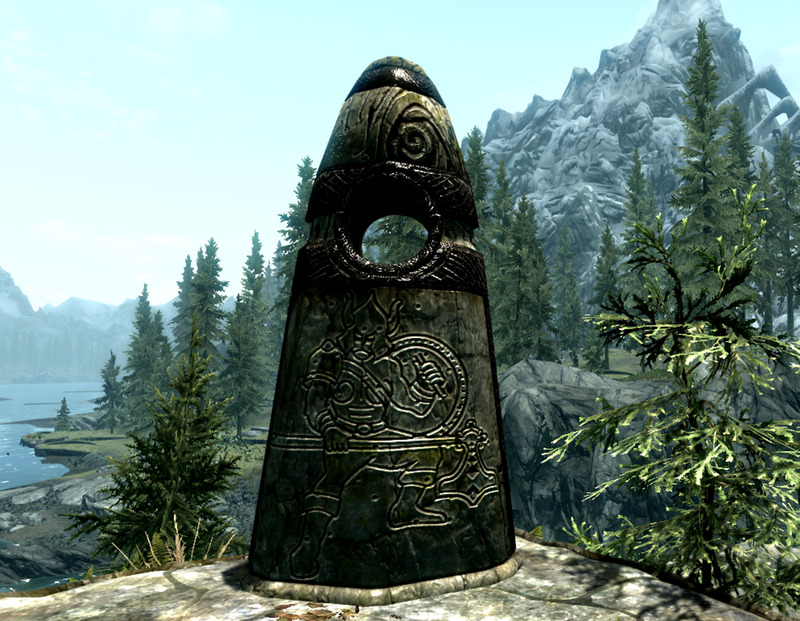 To find a list of all the standing stones and their locations, visit: http://www.uesp.net/wiki/Skyrim:Standing_Stone. Make sure you constantly have the best bow you can get. Save up for a good bow, or make one yourself at a forge. Your arrows matter as well. Arrows have no weight so whenever you see some, grab them. You can never have enough. If you get some good high level arrows (like glass arrows for instance), save them for the really tough enemies, and use arrows you have a lot of (like steel) for ordinary enemies you can kill easily. 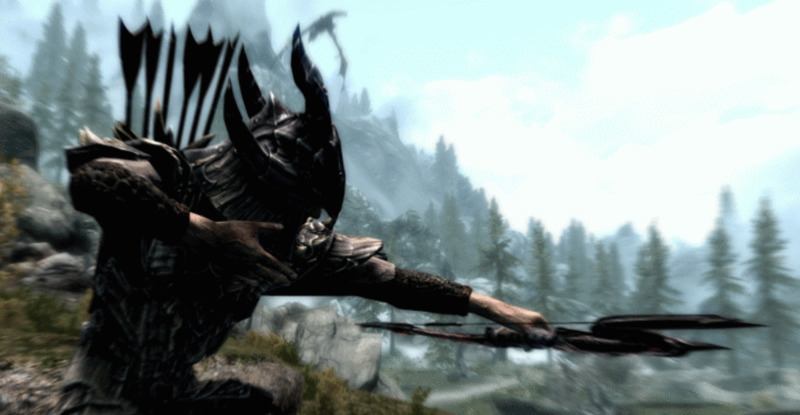 Find a list of all bows at: http://elderscrolls.wikia.com/wiki/Bows_(Skyrim). The best bow, in my opinion, in the game is the Nightingale bow. This excellent bow comes with a freeze and a shock enchantment, the strength of which depends on the level at which you get it. To obtain it, you need to join the thieves guild, and it is given to you on the quest 'Blindsighted'. It can also be improved with ebony at a blacksmith, but not past the flawless rank. The thieves guild is a really useful guild - access to plenty of trainers, and an excellent quest line that rewards stealthy and archer type characters. The Companions in Whiterun are also a good choice; plenty of trainers and followers. Idealy join both of them! Do you prefer to play a sneaky archer or a conjuration/archer character? 1. If you ever find yourself short of arrows, head over to the barracks in Solitude where an archer will be shooting arrows into a bulseye. You can then go and collect an infinite number of steel arrows. If you want the archer to shoot a different kind of arrow, pickpocket them and remove the steel arrows, and replace them with the kind you like. You only need to place one arrow. 2. Similar to the above tip, if you want your follower to shoot a certain type of arrow, access his/her inventory and place replace their arrows with one of your own. You only need to place one arrow in their inventory. 3. Poison your arrows by going into menu>items>potions and selecting the poison you want. 4. If you find that you are taking too much damage in combat, you can use heavy armour in conjunction with the steed stone. This way you will get the armour bonus of heavy armour but with out the reduced mobility. It will still affect your stealth though! 5. If your target is far away, aim the crosshair on your screen slightly above them to ensure greater accuracy. 7. To get an elven bow very early on in the game (as soon as you reach Whiterun), head to Whiterun and to Jorvaskrr (the companions). Go to the armoury or trophy room in the basment of the building and make sure it is empty. Then close the door behind you so you are not caught. Then pick the lock on the glass case with the bow inside it. It is an expert level lock, so make sure you have plenty of lockpicks! 8. Getting an amimal companion like Meeko or Vigilance is a good idea if you are having trouble fending off enemies. 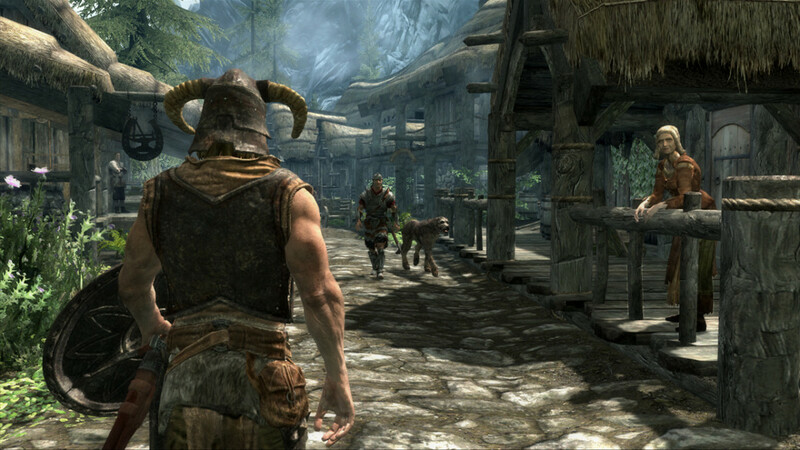 For an invincible dog, head to Falkreath and start the daedric quest, a daedra's best friend. As long as you don't complete it, you will have Barbas, who cannot be killed, indefinitly. 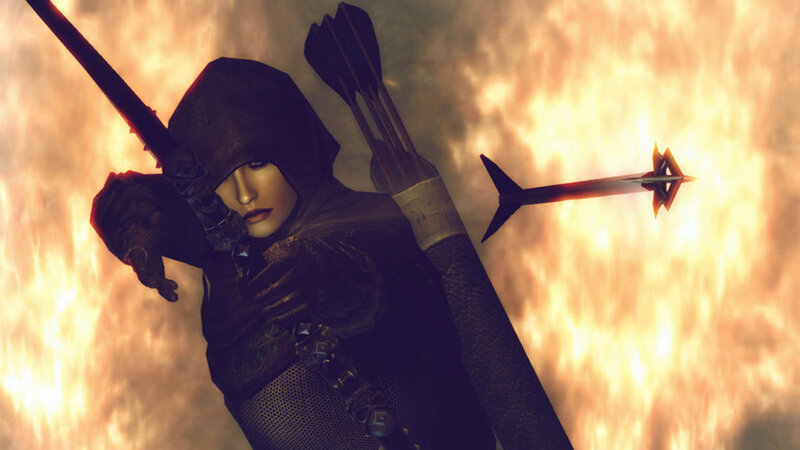 9.Killing Thalmor guards will give you plenty of elven arrows and equipment at any level in the game. 10. Shooting while in sneak mode can give up to 3 times normal damage with a bow. 11. Use the Faendal follower exploit to level your archery skill quickly. 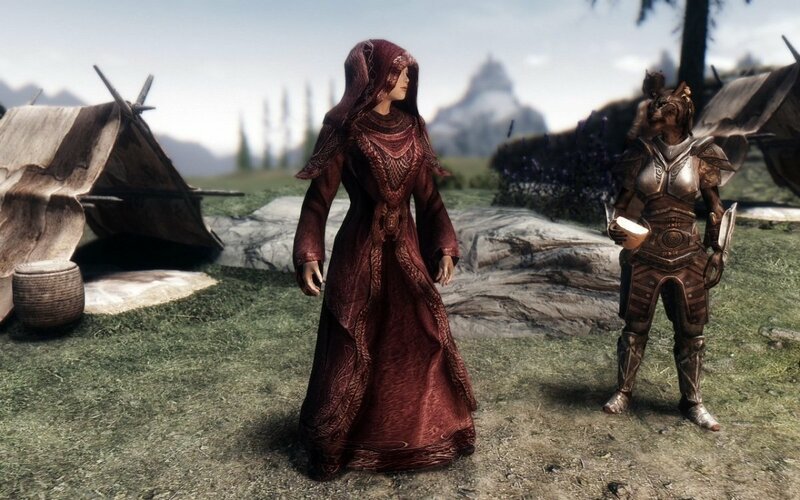 You can also use Aela the Huntress, and if you have the dragonborn dlc, then Talvas Fathryon to level your conjuration for free if you want. 12. If you are finding a battle hard, pause for a moment and swig down a potion of true shot. 13. To sheath your bow once it has been drawn, press R on PC or Mac, X for Xbox, and the square on the PS3 controller. So that's it for Archery - Tips and Tricks! Do you have any you would like to share? If so, please leave a comment and I may include it in this Hubpage! I like your guide it is very informative. I play an archer a bit differently to this, when I play games I like to look at historical facts concerning the roles I take. Thusly I favour two handed weapons - historically, in English military history at least, warriors who drew heavy bows had very developed arm muscles and could overpower infantry in desperate situations via the use of heavy two handed weaponry (I'm not saying they were awful with one handed weapons and/or shields, just that they already have an affinity with using both hands to fight). It is for this reason that I favour being an archer who is stealthy and preferential of the bow, but also has the ability to bludgeon with brute force while wearing heavy armour.